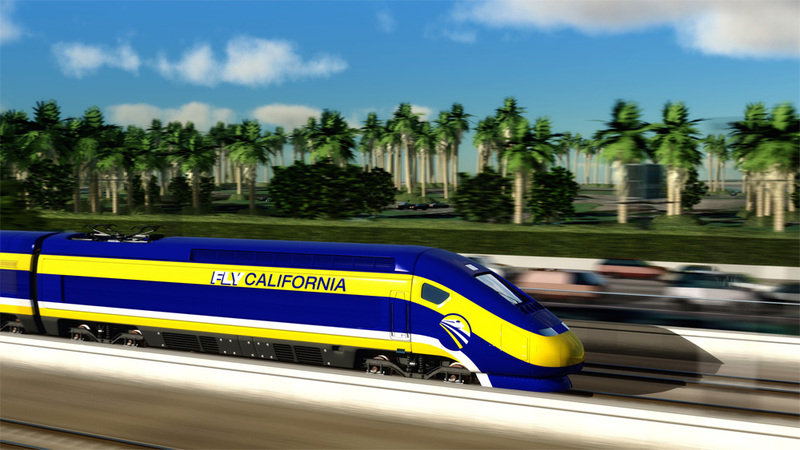 It’s been over six years since California voters approved a bond measure to fund a two-hour-and-forty-minute Los Angeles-to-San Francisco high-speed rail system. Today [Jan. 6], groundbreaking finally takes place in Fresno. In the intervening six years, lawsuits and political compromises have delayed the system and likely made the timetables promised to voters impossible to achieve. And even if all goes well, the system won’t fully connect Los Angeles to San Francisco until 2028, and that estimate seems wildly optimistic. Yet today’s ceremony is still cause for celebration. Building a massive infrastructure project like this one across the state and its multiple political jurisdictions and interest groups is an almost impossible task. High-speed rail, even if it’s less than perfect, will be an important contribution to the environmental and economic future of the state. With a growing population, California can only hope to move its residents efficiently via expanded rail, given the practical and economic limits on expanding our highways and airports. High-speed rail also holds the promise of better integrating our existing transit systems and encouraging new ones, particularly in the Central Valley — a region that has missed out on the economic boom on the coast, in part due to its relative isolation from these economic centers (the UCLA/UC Berkeley Law report from 2013, A High Speed Foundation, details the potential benefits for the Valley from high speed rail, while UC Davis law professor and Legal Planet co-blogger Rick Frank sits on the board of the High Speed Rail Authority). The groundbreaking is finally occurring in part because state officials need to spend the federal dollars allocated to the project before 2017 or else lose them. But also because the High Speed Rail Authority appears to have found a legal way out of the many California Environmental Quality Act (CEQA) lawsuits filed against it. The Authority recently appealed to the federal Surface Transportation Board (STB), essentially inviting that agency to rule that the CEQA lawsuits are preempted by federal law due to the federal spending on the system (such is the nature of CEQA that a state agency had to ask the federal government to preempt its home law). The STB came through last month, which will help clear out the seven CEQA cases pending against the Fresno to Bakersfield segment. On cue,the City of Bakersfield immediately settled with the Authority on its CEQA case. But continued legal uncertainty will plague the project in the coming years. First, CEQA petitioners may appeal the STB decision to federal court. Second, the California Supreme Court will look at the issue of preemption raised by two conflicting appellate decisions (Friends of the Eel River and Town of Atherton). Finally, the courts will scrutinize the Authority’s final funding plan to ensure it complies with the strict terms of the 2008 ballot measure, such as the two-hour-and-forty-minute time requirement for the Los Angeles to San Francisco segment. Given that political compromises have greatly slowed the system’s cross-state travel, such as by diverting the Southern California route to Palmdale, serving hostile Central Valley cities in the eastern San Joaquin Valley directly rather than with spur lines, and using slower Caltrain tracks on the San Francisco Peninsula, meeting these timetables may very well be impossible. But does it really matter anymore? Once the system starts, as it will today officially, it takes on a life of its own. Politically it becomes virtually impossible to stop. Financially, even though the state doesn’t have enough money now to build the whole system, future political generations will keep the torch lit and raise the necessary funds until they finish the job. And barring economic collapse or the plague, California’s transportation needs will only become more severe for a growing population, underscoring the need for alternatives like high speed rail. So all aboard, ye California residents of 2028 (i.e. sometime in the late 2030s if we’re lucky). It hasn’t always been pretty, but it’s about time. Dave: I appreciate your tracking my thoughts on high speed rail. I do still worry about this first segment, both in terms of ridership and how difficult it will make the long-term fight for the system. But my opinion on the political viability of the project has definitely become more optimistic since I wrote that blog post in 2010. The big change is Jerry Brown, who had not yet taken office at that point. Since then, the governor has made the system a top priority and dedicated, among other things, a steady stream of cap-and-trade revenue to keep it funded. While I doubt we’ll see true high-speed service right away or anytime close to the projected openings, the new tracks can be used (as I understand it) for non-HSR (Amtrak) until the system connects to an urban center on the coast. At that point, I believe a new generation of political leaders will fight to finish the job, or at least connect LA to Fresno. And in the meantime, I wouldn’t be surprised if private entities, beyond the Las Vegas-to-Victorville HSR, end up funding other segments, such as San Diego to Union Station. So yes, things are looking much better for high-speed rail in general in California. Climate-change research fellow at Berkeley Law needs to explain his stunning 180-degree reversal…. This largely pointless section of high speed rail can be built quickly because nobody lives there to complain and the route doesn’t have the construction hassles associated with building in an urbanized area. I’m also told it’s a good place to start testing some of the equipment for the rest of the line. My concern is that, in a rush to get funding and construction started, the High Speed Rail Authority may have created a long-term political disaster that could prove fatal to the system. Perhaps the safer bet would have been to raise funds and support for a more viable first segment, even if it damaged the overall financial picture for the rest of the system. With a successful first segment, you could undertake the long-term fight necessary to expand the system statewide. This fight is coming anyway, because the private sector and state and federal government simply don’t have the resources to build what Californians want right away. But with this decision, it looks like high speed rail is in danger of coming off the tracks. The California High-Speed Rail Authority is responsible for planning, designing, building and operation of the first high-speed rail system in the nation. By 2029, the system will run from San Francisco to the Los Angeles basin in under three hours at speeds capable of over 200 miles per hour. This is great; hope other states tag along with this high speed rail system. If I could get to California from Virginia in 2 hours on rail, for under $100 a ticket, then this will be great.